Home Aviation Boeing 747 News Philippine Airlines Philippine Airlines: Good Bye 747! Philippine Airlines: Good Bye 747! 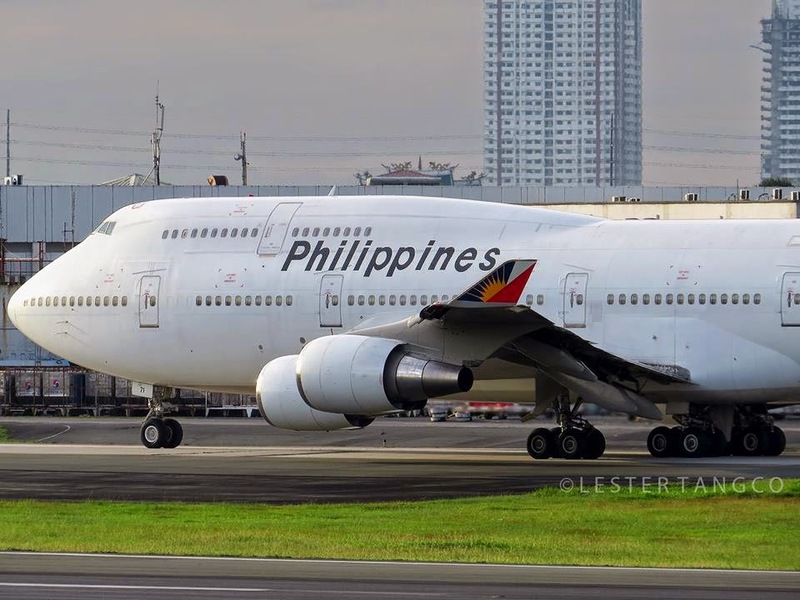 Aviation Updates Philippines - The Philippines' national flag carrier, Philippine Airlines, will be retiring its last Boeing 747-400 after its last commercial flight to San Francisco on August 30 and will be returning Manila on Monday. The Queen of the Skies served passengers across the Pacific Ocean for 35 years. The 747 was a true workhorse for Philippine Airlines as it operated short-haul to long-haul flights. Good bye 747! Thank you for everything! When flight PR 105, the last commercial flight of the Boeing 747, lands at the Ninoy Aquino International Airport on September 1, the said flight will be given a water-canon salute by the airport firetrucks. Philippine Airlines will utilize its Boeing 777-300ER for flights to the United States after the last 747 will be retired. 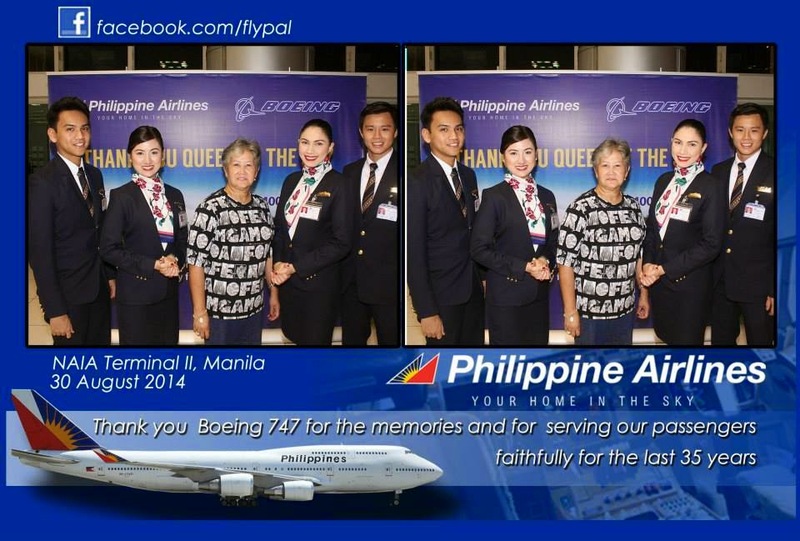 In order to honor the last commercial flight of the Boeing 747, which was registered as RP-C7473, Philippine Airlines set up a photo booth near the boarding gate for passengers to take their last photo of the 747 with the airline's flight attendants beside them. The carrier uploaded these photos on their Facebook page. As Philippine Airlines retired its Boeing 747-400 fleet, the 747 passed the crown to the Boeing 777-300ER and became its new flagship. The retirement of the 747s was a move for Philippine Airlines to save more from the fuel-efficient planes. Philippine Airlines' new flagship, the Boeing 777-300ER was delivered in 2009. Philippine Airlines originally ordered the planes for the United States, but the Federal Aviation Administration downgraded us to Category 2 in 2008 which forced Philippine Airlines to operate them in Canada and Australia. Philippine Airlines added in a statement that it plans to increase the deployment of Boeing 777-300ER to San Francisco from two to full flights weekly. Philippine Airlines also said that it ordered the Boeing 777s aircraft in 2006, with the hopes of reducing fuel and maintenance costs, particularly on flights to the US. In the 1970s, Philippine Airlines envisioned to be one of the best in the Southeast Asia. Therefore, PAL ordered four Boeing 747-200B to be used in the trans-Pacific flights. The first jumbo jet arrived in December 1979 which took-over the trans-Pacific routes previously operated by the DC-10 on January 4, 1980. After three months, the jumbo jets were utilized in all US flights.